Henry Ford, founder of Ford Motor Company which sells automobiles and commercial vehicles. Ford was born on 30 July, 1863 in Greenland Township, Michigan. When he was young, he used to dismantle and reassemble his friends timepieces and watch, gifted by his father, which gave him reputation of a watch repairman. In 1876, Henry lost his mother and did not wanted to live and work on farm without his mother. In 1879, Ford at age of 16, left home against his father’s will to work as an apprentice machinist at a ship building firm in Detroit. Mr. Ford returned home in 1882 & started to work on family farm. He became an expert at operating the Westinghouse portable steam engines. Later, he was hired by Westinghouse to service their steam engines. Because of his technical skills and ability to grasp new things, he was hired as night engineer for Edison Electric Illuminating Company in 1891. Later he got promoted as chief engineer. While working , he started working on building automobiles side by side. Electricity was a new concept at that time and he loved his work. He build Quadricycle, a self propelled vehicle with help of his friends. In 1898, he met with Thomas Edison who approved his experimentation. Ford continued to work on his model of automobile and completed his second vehicle. Ford formed his own company named Detroit Automobile Company. But, he was forced to shut it down as the automobiles produced by company did not perform well in market. After failed efforts, he soon started working to improve the quality of his automobiles. In 1901, he successfully developed 26 – horsepower automobile. In 1901, he teamed up with stockholders of Detroit Company to form Henry Ford Company. Ford was sued by his stockholders and had to leave the company. The company was later renamed as Cadillac Automobile Company. The failure of two venture did not stop him living his dream and passion. He continued to work and build several racing cars including “999” racer car. Henry incorporated ‘Ford’ company in 1903. A race driver Barney Oldfield drove “999” around the country making the Ford brand well known in United States. In 1908, Ford company launched ‘Model T’ Vehicle which had steering wheel on the left side. The model was innovative, affordable, cheap to repair and simple to drive. Model T was a great success and was soon copied by other automobile companies. Because of Model T, there was higher demand and goodwill of brand in market. Ford introduced new assembly line techniques of mass production to meet increasing demand. Model T dominated the market for years till 1918. It was so cheap that majority of Americans used to buy it. The final total production reached 1,50,07,034, which stood for next 45 years. In 1918, the Presidency of Ford Motors was handed over to his son Edsel Ford. But the final decision was still taken by Henry Ford. 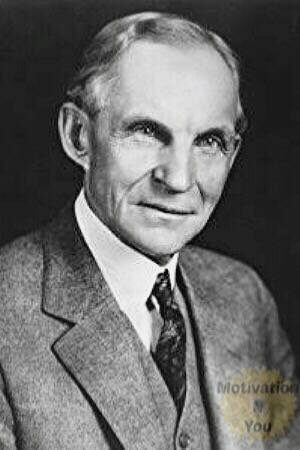 Ford started another company named ‘Henry Ford and Son’ and showed the investors that he is taking his best employees with him in new company. The plan worked and investors sold their stakes to him and his son and the Ford family became the sole owner of the company. In 1926, due to declining sales of Model T, he introduced Ford Model A and it was successful a successful well. ‘The Ford Motor Company’ adopted annual model change system to compete in market. In 1928, Ford received the Franklin Institute’s Elliot Cresson Medal and Nazi Germany’s Grand Cross Medal of the German Eagle in 1938. Henry pioneered the Welfare Capitalism for social welfare of workers. He gave double wages to his worker than any other company resulted in increasing the market wage rate of workers. Ford also introduced 5 days 40 hours work per week method & other methods to utilise leisure time of employees to increase productivity. He revolutionized the automobile industry by introducing innovative and cheap automobiles and large scale management of work force. In 1947, the industrialist died at his home in, Fairlane, Dearborn at the age of 83. He provided us techniques to produce large number of cars at lowest cost possible. He wanted to put the world on wheels and he indeed made it possible.